Stop looking for love in all the wrong places—California is not where it’s at! In fact, there’s a strange vibration across this land as people hurry to exit their land of promise that turned out to be a paradise lost, a dud. Why? Because judgment falling on the wicked cities is brewing a migration along the West Coast, separating the wheat and leaving the chaff. 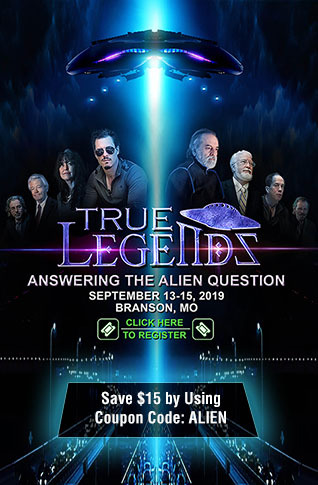 Going and almost gone are the prudent, the rational, and all the hang-in-there conservatives who are tired of being disappointed by songs of California dreamin’. Also on the move are families who have been displaced by disastrous weather upheavals and wearied by constant reports of earthquakes that are waiting to happen. So who, in fact, is to blame for the droughts, the ruinous storms, floods, mud slides and raging wildfires that have been plaguing the western shores? Leave it to the Almighty to get their attention! 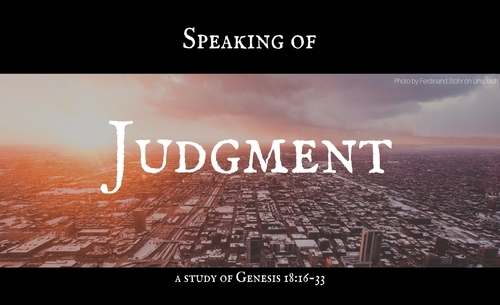 But does God really send judgment on sinful cities, even in this day and age? Recall the book of Isaiah where he called down woes on the cities of the Philistines, Moab, Assyria, and Babylon. Those dire prophecies have already been fulfilled—all but one. This was a grievance against Damascus, dooming it to a future collapse that many biblical scholars and prophets believe will happen soon. Just this week, the Steve Quayle site featured a Reuters article about Russia’s Putin pledging a military response to any US plans to strike Damascus. His warning puts the world one step closer to the fulfillment of this prophecy! We can already see signs of God’s judgment on America as this year’s wild weather patterns devastated the West Coast, accompanied by frequent earth tremors and tsunami warnings. But weather calamities are not the only reason Californians are bailing out--a crisis of homelessness fraught with squalid living conditions is also to blame. The Dallas Morning News recently published an article that blamed skyrocketing home prices and fierce job competition for the exodus from California that has created an economic and housing boom in Texas. “Our state was the top destination for low-income residents leaving California between 2005 and 2015,” writer Julieta Chiquillo reported, citing a data analysis published by the Sacramento Bee. The analysis noted that during the last decade, about 293,000 impoverished people left California for Texas, prompting the News’ headline: California’s Poor Flock to Texas As West Coast Homes and Jobs Fall Out of Reach. After Texas, the nearby states of Arizona, Nevada and Oregon were named as the largest recipients of California’s low-income migration. 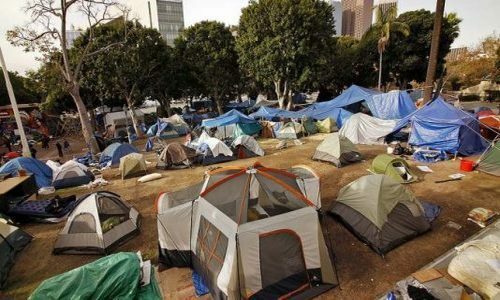 Lack of affordable housing has accelerated the crisis in California, especially in Los Angeles where homelessness abounds. On the coastal stretch from San Diego to LA, tent cities abound, with miles of makeshift shacks and tarp shanties lined along the road. In fact, Steve Lopez, a writer for the Los Angeles Times, described a walk he took recently down the city’s “skid row,” now populated by the mentally ill, drug addicts and the economically disadvantaged. Many of the impoverished, he noted, were forced to guard their life belongings in a backpack or shopping cart. A little further south along the Santa Ana River Trail, city officials recently took action and used public works crews in Orange County to clean up a homeless encampment that was an eyesore to local residents. 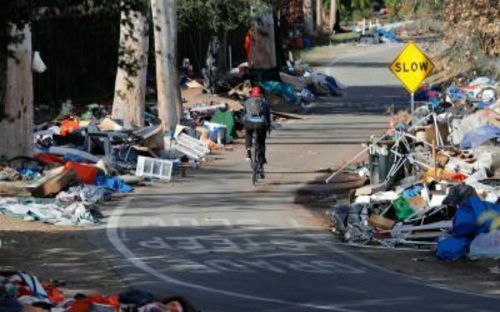 According to an article in the Orange County Register, work crews collected 404 tons of debris, 13,950 needles, and thousands of pounds of human waste during the massive overhaul. The goals of future overhauls are a refurbished bike trail and restoration of the River Trail’s former natural beauty. Half a century later, the flower children have grown up and grown old, many now in retirement from respectable jobs, proof they have outlived their long-haired youth. Some former hippies were able to conform and even prosper in halls of power and success, eventually joining the ranks of staunch conservatives in the state. But conservatives are leaving California in droves, having become disgusted with the state’s liberal shift from earlier days when towns were safe and family-friendly with schools that not only nurtured children but provided a bona fide education. So the strange stirring across this nation--do you feel it even now? The exodus is setting families in motion as God calls his people out of the sinful cities, away from all the quasi-Babylons with their self-fashioned idols and computer-generated images of false gods. In an interview on the Quayle site, prayer walker Henry Gruver once shared his vision of God gathering the wicked in cities marked for destruction, after the righteous have been drawn away. “By his Spirit he will draw the wicked into massive conferences and conventions,” Gruver said, ‘leading them as he drew the animals into the ark.